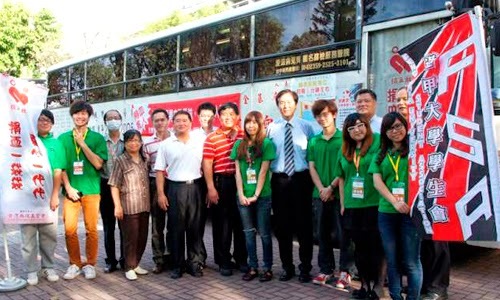 There are many colleges in Taiwan; some of them cooperate with local governments on developing projects. 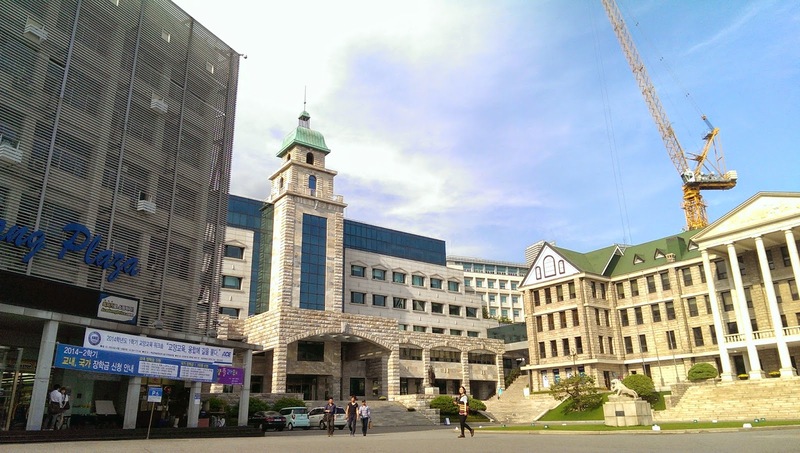 In central Taiwan, Feng Chia University (FCU) is one of these colleges. FCU will have a big change in a couple of years because of its cooperation with the Taichung city government on the new “Gateway” project. Taichung City government has a new plan for the old Taichung airport adjacent to the FCU campus; it’s called Taichung Gateway District. This new district will change FCU in many ways. First, there will be some new construction at FCU. For example, a new building called the “Eco-green Building” will be built on a piece of land the school has purchased in the district. Moreover, a new Technology Research Building will replace the old Recreation Building, a new Student Activity Center will be built, a pond will be formed behind the Engineering College, and the school’s Main Gate will be moved to the other side of campus, where it will lead directly to the new Eco-Green building. That’s a lot of change! The Gateway project will bring other changes, as well. Because the new district is located in next to FCU, there will hopefully be more opportunities for FCU-enterprise cooperative projects with the businesses drawn to the new district. Furthermore, these companies will choose outstanding FCU students as their employees. Therefore, senior high school students aiming for jobs in Taichung Gateway will choose FCU for their professional education. Because these students come from different districts, cities, and even different countries, they will bring their ideas, opinions, and cultures to FCU, making it an even better place to study. In the future, FCU will develop with the Gateway. Although we seniors may have no chance to use these new facilities because we are going to graduate soon, we are still proud of our alma mater and of the school it will become. 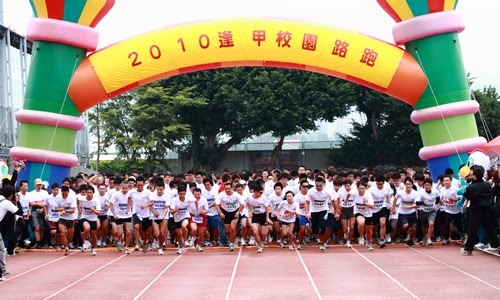 In Taiwan, many universities have large campus. 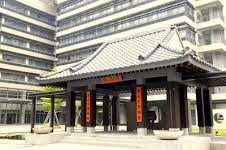 However, our school, Feng Chia University, is small. That doesn’t mean it’s boring, though. You can see there are many special sites on this beautiful campus such as Xue-si Pond between the gym and Xue-si Building, and the big green lawn next to the student activity center. What you may not know is that at each of these places, there used to be buildings! With such a small campus, why did the school leave so many large areas open? Each has its own story. Xue-si Pond is a beautiful place where students, teachers, and people from surrounding neighborhoods can take a break and enjoy some quiet time. There is a pavilion in the center of the lake, with a Chinese couplet on it - "Learning without thought is labor lost; thought without learning is perilous." This calligraphy for this couplet was done by Gao Xin, a professor at Feng Chia University, to encourage students in their studies. Actually, Xue-si Pond was not a pond in the past; it was called Xue-si garden. This garden contained only a small stream until the area was reconstructed by the school. However, there really was a pond on campus many years ago – a lotus pond. This was Yu Garden, which is now the site of the FCU Sports Center! There is another mysterious place on our campus, the Li-de student center. This is really a Catholic Church that was built in the 1970s by the Catholic Jesuits to commemorate the missionary Xavier Francis. One might wonder why there is a church in our university. Actually, this church was built on land that is privately owned by the Catholic Church and was established to offer religious services for students. Ms. Kang, a teacher at the church, told us that in the beginning, the church was actually outside the school. At that time, Feng Chia University was just a small college. When it started to grow, the school gradually bought all the land around the church. That’s why the church is now inside our campus. Ms. Kang said if they sold the church to the school at that time, maybe the church would have become a lawn! To give students a place for peace and reflection, the church decided to keep the land. “The door is always open for everyone,”she said with a friendly smile. While the church did not become a lawn, there is a big lawn just across the street. This was formerly the site of the women’s dormitory. 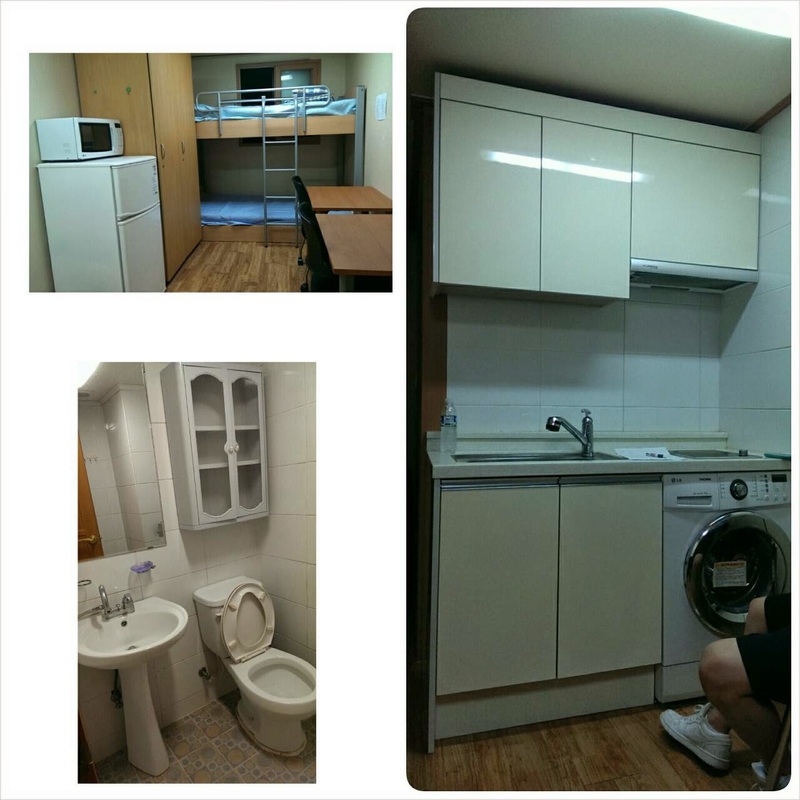 Many years ago, the school removed all dormitories from campus. After tearing down the dorm, the school did not reuse this space but left it to be a large lawn. We think this was a really good decision. These lawns make our school look better and less crowded. Around the FCU campus, there are probably many more interesting places with interesting stories. When you are walking around school and are curious about who, what, why, or when things became the way they are now, take a few minutes to ask someone. You never know what secrets you might find! 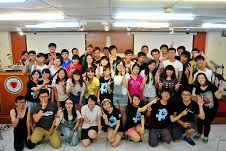 The Feng Chia University Student Christian Fellowship (SCF) is an association for all FCU students although most of the students who join are Christians. The Feng Chia University Student Christian Fellowship has been steadily growing since 1962, so we think that SCF is indispensable to students at Feng Chia University (FCU). The mission of SCF is to make converts who can not only get together and encourage each other but also influence campus life. Moreover, the goal of SCF is to make everyone feel welcome, loved, and at ease in order to show students the love of Christ. The Student Christian Fellowship is a religious club, but there are several activities for non-Christians, such as welcome party, studying group, and movies. In addition, we have lunch together and share our life experiences at the club office every Tuesday and Wednesday. 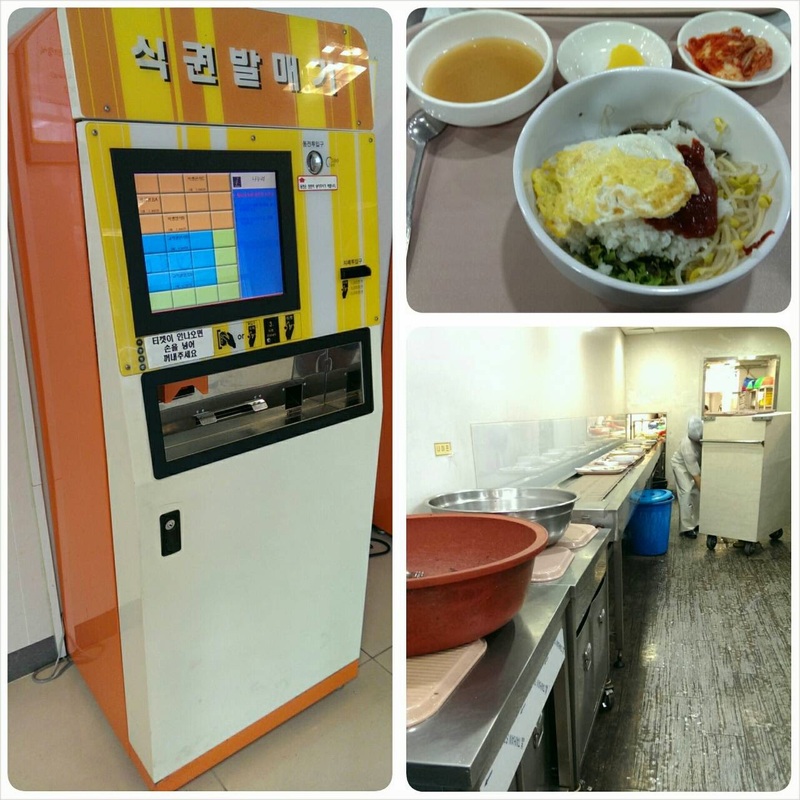 By having lunch together, we can learn more about each other and become good friends. If you want to know more about Christianity, you can join the prayer meeting and Bible study activities. Through these two activities, you can learn how to pray and to study the Bible, so please feel free to join us! 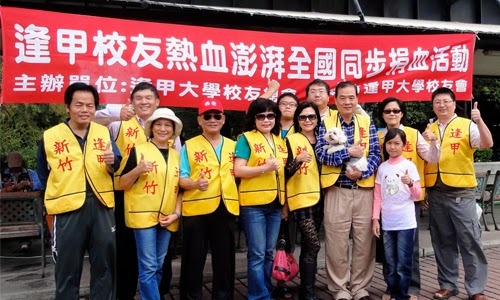 Recently, SCF held a worship concert at the Feng Chia dormitory public square. At the concert, three SCF members shared their life stories and also sang songs. We thought that by holding this worship concert, we could not only share the love and the truth of Jesus Christ but also could introduce SCF to freshmen. Indeed, there were several freshmen who wanted to join SCF that night. They said that the life stories and songs were very touching and that it made them want to know more about Christianity. In the beginning, we joined SCF but we didn’t know each other. After seeing each other almost every week at SCF activities and spending lots of time together, we have come to know each other better and better, and we and the other SCF members have become just like a big family. When we feel depressed or run into trouble, the members of SCF are always willing to stand by us and cheer us up. Again, if you would like to learn more about SCF, feel free to join in our activities or to drop by our club office! Taiwan is famous for her night markets, and in Taichung there are many night markets which have a lot of fantastic food. The most well-known night market in Taichung is the Feng Chia Night Market, which is located just outside Feng Chia University. Unfortunately, most people who come to the night market know almost nothing about the school – and it’s an interesting school! 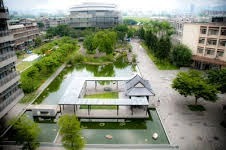 Feng Chia University has built many new structures in recent years. For example, we bought a piece of land outside campus and will expand in the next couple of years. This past year, the school completed a new study center here at school, and it has become the most popular place on campus. This new study center, located in the department of the Ren-yen building, is a multi-function study center. 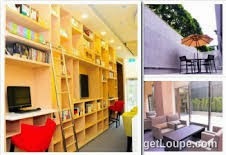 First, there is a large break area where you can eat while you study. The tables are long and big, so you can get together with your study group or friends. Besides, there are vending machines and computers in the corners, so this is a convenient place to buy something to drink or search for information on the Internet. Next is the center’s main study room. Unlike the traditional study rooms, it combines a study room and a small library. There are comfortable sofas here, and computers you can use to search for information for your report or project. Third, there are many meeting rooms that students can reserve for meetings with their study group. Some meeting rooms have a projector and whiteboard; others have a TV and a whiteboard. Finally, the study center also includes a few classrooms. The student desks in these rooms are on wheels, so they can be moved easily for different learning activities. Of course, there are some rules for study center use. Students reserve meeting rooms by filling out an Internet form. Students need to enter their name, class, and student number. Once they have filled out the form, have to confirm their reservation to ensure that they can use the meeting room. Students are not allowed to eat or drink in the meeting rooms. There are many books and magazines in the main study room; students can borrow them with their student ID. The computers in the main study room and break area are available for anyone to use. The only rule for these rooms is that students shouldn’t make too much noise and bother other people who are studying. This new study center is not only beautiful but also very convenient and comfortable. 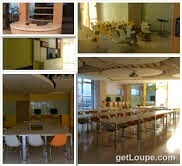 Our favorite area of the center is the meeting rooms, because it is always so hard to find a place to do our team work. Now we have such a place, and it is well-equipment. Not only that; the study center is open from 8 AM to 10 PM, so you can study here for a whole day. The computers are new and fast, and there are lots of seats. There is only one thing you have to remember; if you want to enter the study center after 6 PM, you will need your FCU ID card. Many students and teachers have been to this new study center already, and we really like spending time here. If you are looking for a comfortable place to study or a well-equipped meeting room for your next group project get-together, FCU’s new study center just might be the perfect choice. A sense of beauty and fashion always exists in our lives. However, as soon as one mentions “fashion show,” people feel uneasy. Most of you have seen fashion shows on TV, but few of you have seen a real one. On June 6, 2013, the department of Marketing held a great fashion show called City I-Fashion in front of the Chiu Feng Chia Memorial Hall here on the Feng Chia University (FCU) campus. All of the sophomore marketing students were divided into 16 teams and each team represented a different style such as retro, modern, and minimalist styles. 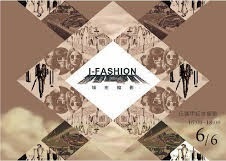 The purpose of this fashion show was to experience metropolitan beauty and define the style of Feng Chia University. Before the show, we held some marketing activities. First, we spread red carpets on the path between the FCU library and the Science and Aeronautical Building (SAB) and placed several chairs as audience seats on both sides. Some of the sophomore marketing students sat there as the audience. The audience clapped when people walked through the path to make them feel like they were walking on the catwalk as professional models. We also put a big box, which was covered by a black cloth with question marks on the side, in the middle of Flunk Lawn to catch people's eyes and pique their curiosity. In addition to holding marketing activities, we trained the models how to walk and pose three weeks before the show. All of the models were student volunteers. Also, each team tried very hard to decorate their displays where they exhibited their project results. On the day of the fashion show, the models were as perfect as professional models. After the models had come onto the stage, they went back to their displays immediately and took pictures with the visitors. All the visitors were highly impressed by their professional performance. “The majors modeled and showcased their very own designs both verbally and nonverbally, said department head Jian-Shi Chao. In addition to presenting this fashion show, we set up a charity box where people could donate their unified invoices to benefit the North Tainan branch of the Taiwan Fund for Children and Families. Every donor received a warm hug as a “thank you” prize. A lot of students were willing donate their invoices to help the disadvantaged. We were all convinced that love could be heartwarming. This fashion show was named “City I-Fashion” not just because “I” is the first-person pronoun meaning that each individual himself or herself has unlimited potential, but also because the English “I” is pronounced similarly to the Chinese character love. It was why the Marketing majors held the fashion show and a bazaar, raised funds, collected invoices on the scene, and gave the visitors warm hugs. The purpose of the City I-Fashion was not only to present the marketing students’ final projects but also to spread love to society. One other interesting purpose was that the plaza in front of Chiu Feng Chia Memorial Hall is mistakenly called Flunking Lawn. 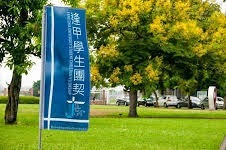 It is believed that students who walk across the lawn will fail their classes. The marketing majors put all of their amazing and interesting displays on the plaza with the intention of helping Feng Chia University students to overcome their fear of failing. All sophomores in the marketing department spent at least 3 months preparing for City I-Fashion. Although we all had gone through great pains to organize the show, it was really worth it. The fashion show successfully promoted the reputation of the department of Marketing and aroused the love rooted in human nature. If you missed the fashion show, we recommend that you join our big marketing events next year. We are sure you will be amazed and touched.